Renz Cheng Turning 21: A Warm Thanks to You! Blowing the simple Ultimate Chocolate Cake! Good evening guys! I'm trying to really make this blog post really quick so I can publish this before my birthday ends. First off, I want to give my warm thanks to all of you who gave effort in posting a greeting on my Facebook wall. I really appreciate them, and I'm so glad that it became a way for us to somehow get a brief catch up. Anyway, I feel that I owe this post to you. So, here it goes! I actually told my parents that I don't want something extravagant for my birthday, and that all I want is call for some delivery and have a simple celebration at home. Lucky for me, it worked out pretty well! And in fact, I really had a blast! Being with my family was surely enough to make me oh-so-happy! Today, I just realized that we don't need to spend outrageously during our birthdays. Simple celebrations will do... balloons, food, music -- these are just add-ons. The main deal is being with the people who are special to you! Let me have this moment to thank my parents for being so supportive and for always being there for us! To my mom and dad: I love you guys! With my so supportive and loving parents! Make a positive impact to other people! (I don't know how I will go about this, but little steps will do) - Somehow accomplished! So there you go! I hope I got everything covered, but in case I forgot some, I may add them up here. Enjoying what you are reading? Know the latest food trends by hitting the like button below. Looking for a restaurant or a particular review? Just use our search box below. Want bite-sized updates? Follow our Instagram account @anotsopopularkid! Canto's Spectacular Ribs in Baguio -- Must Visit! Renz Cheng founded A Not-So-Popular Kid way back in 2009 as a personal blog. With his fondness for exploring dishes, he re-launched the blog to focus on food in 2012. He's currently working in a bank as finance enthusiast, but his love for food always lingers. To read more about the blogger, visit the About page. This blog is brought to you by Renz Kristofer Cheng. Copyright 2012. Powered by Blogger. 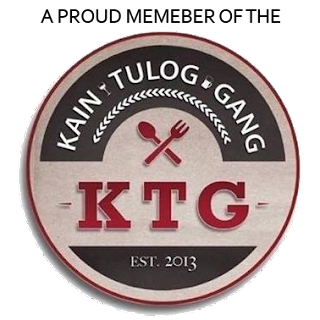 A Not-So-Popular Kid is a blog revolving around food and stories. It mainly features the blogger's own reviews and opinions regarding the food places and restaurants explored. It is also created to guide foodies out there in their future food explorations, and to make non-foodies appreciate dishes of various cuisines. 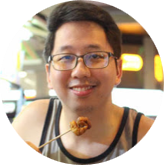 Blog posts are personally crafted by Renz Kristofer Cheng!